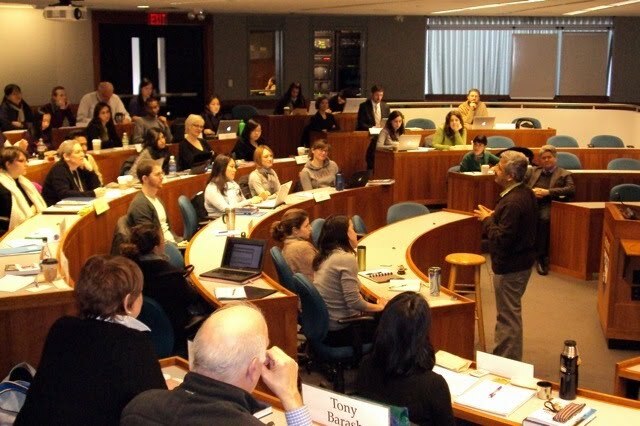 Dr.Balasubramaniam addressed the students of Prof. Fernando Reimers at the Harvard Graduate School of Education on 19-Feb, Friday. Prof. Reimers teaches a course on Educational Innovations. Balu spoke on the different innovations that SVYM has attempted in the Education sector in the last 22 years. 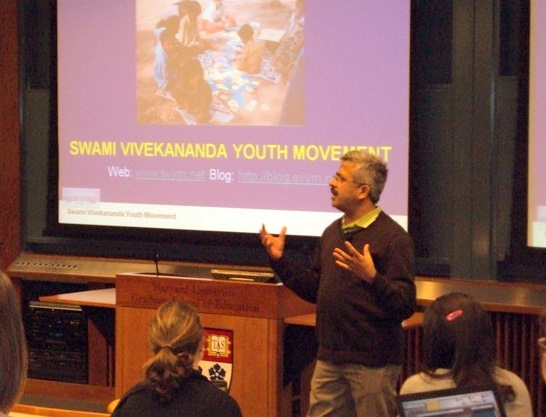 Apart from making a presentation and showing a short video clip on the education activities of SVYM, he spoke about how the mission of the organization evolved, the need for out-of-the-box thinking at the tribal school, the attempts to make education a community movement and the education vision of Swami Vivekananda. This 40-minute talk was followed by an engaging interaction with the students from all over Harvard University.